Resident Advisor is yours for the taking! Get access to premium contacts with these top quality email lists, kept up to date every day by our team of marketers around the world. Shooting for the stars, are we? 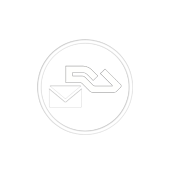 Deploy a killer email marketing campaign targeting Resident Advisor users as your future subscribers. Buy this always up-to-date list of email contacts today and launch your music promotion in grand style. This music digital marketing package gives you an email list of 40,000 Resident Advisor subscribers. We update these things ourselves, through continuous work all over the music industry (especially EDM, as you may know at this point). Interested in even more highest quality music marketing email lists? In that case, visit DemoPoolBase, our brand new service that'll take care of your every music email promotion need. Whatever music industry email base you may think of, chances are we've got it. Browse – check out – believe!